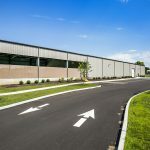 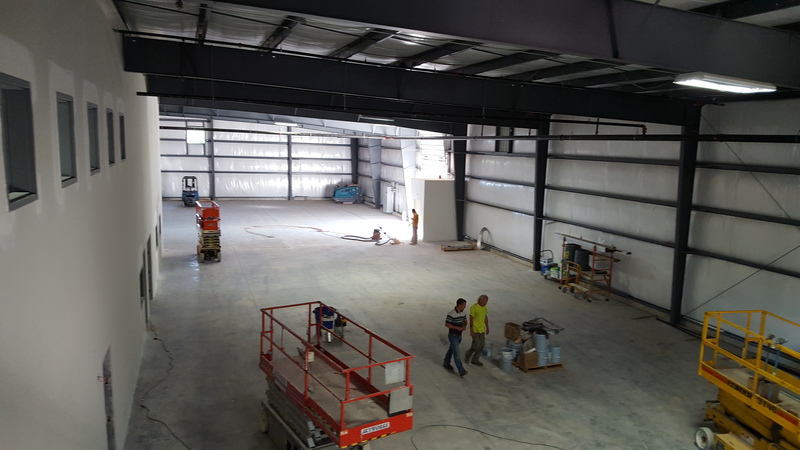 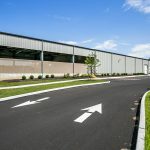 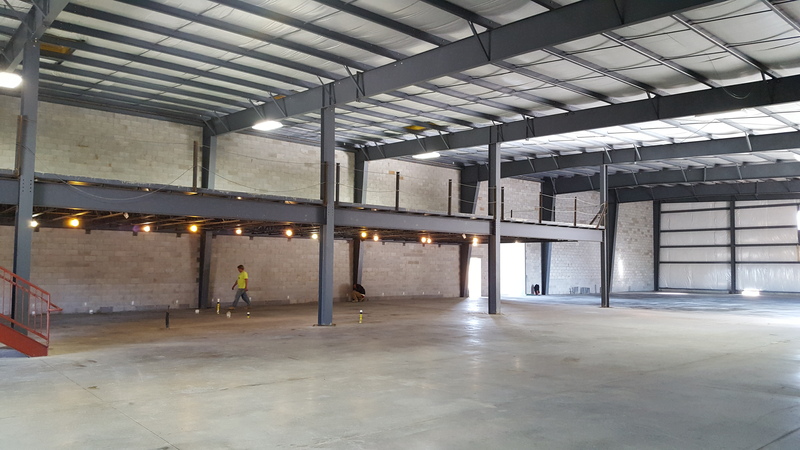 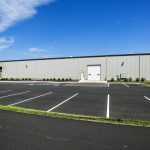 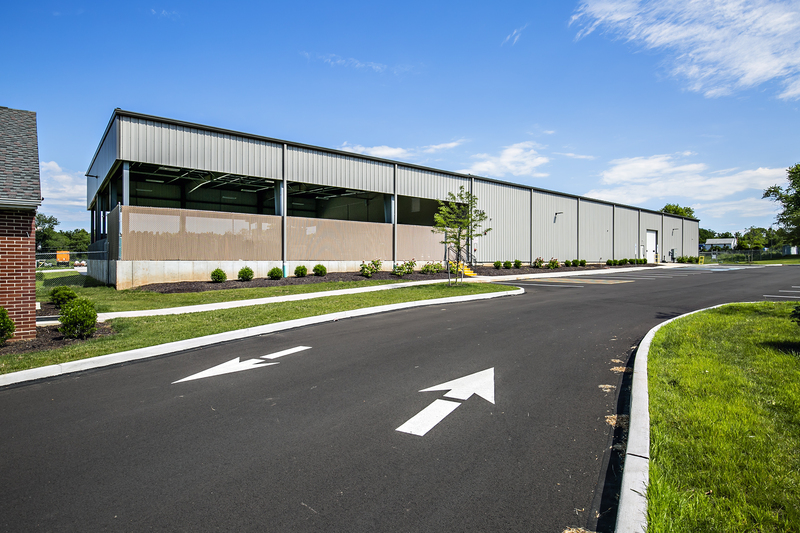 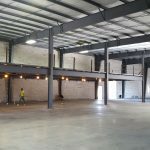 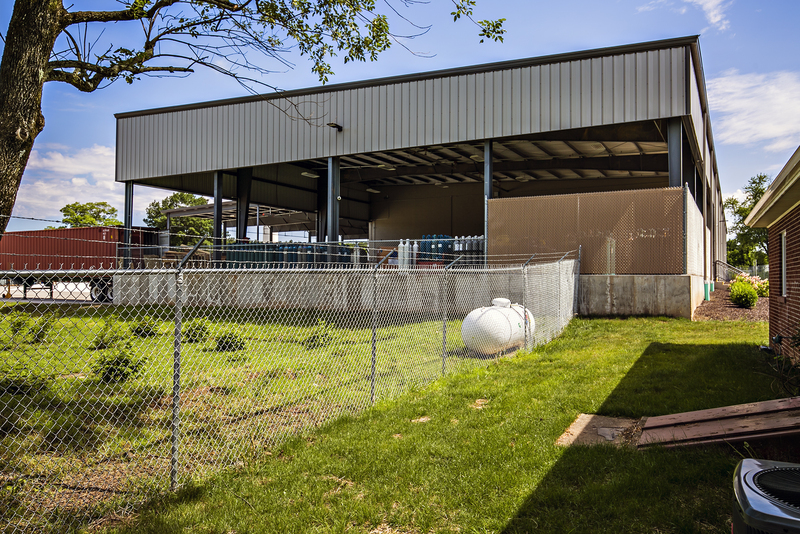 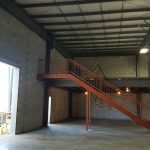 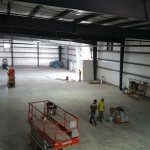 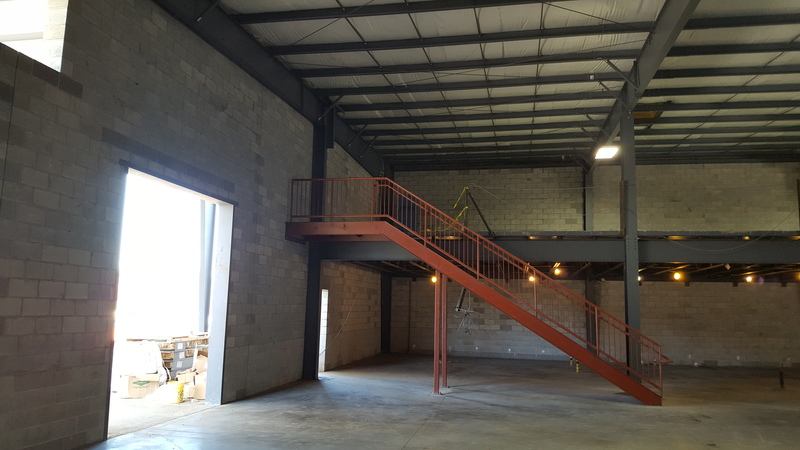 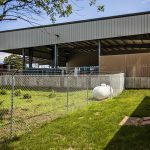 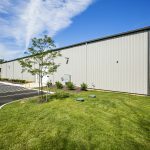 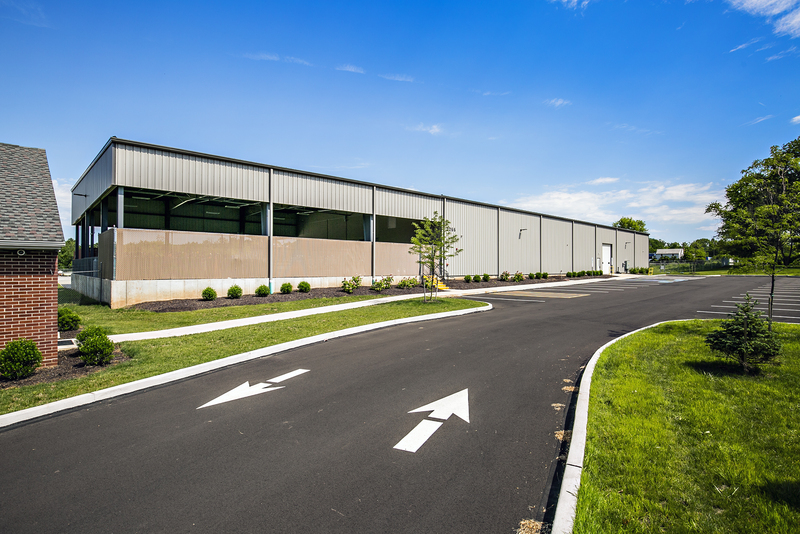 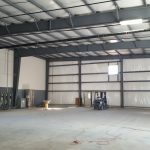 New warehouse/production facility, single story with mezzanine and open canopies. 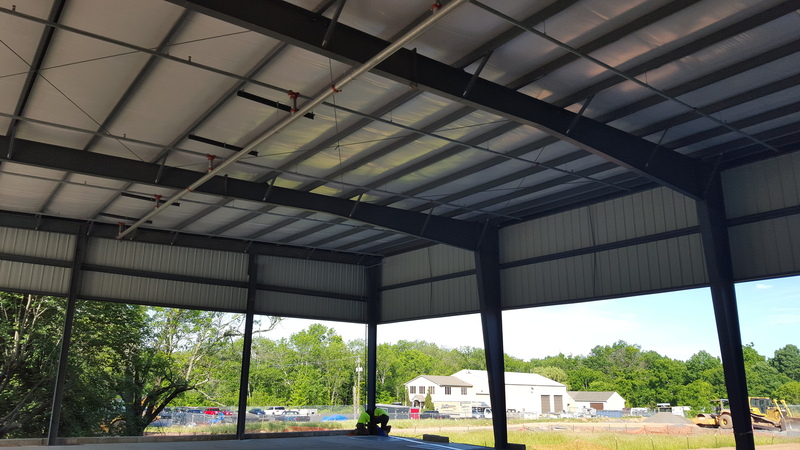 Metal walls and standing seam metal roof with 2-hour masonry walls separating hazardous spaces from people and offices to keep everyone safe. 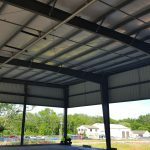 Two canopies with R-panel roofing, 80′ x 75′ and 80′ x 175′. 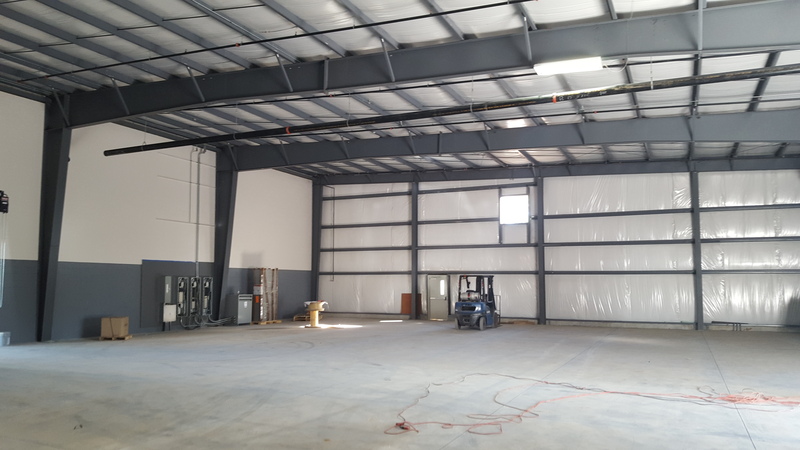 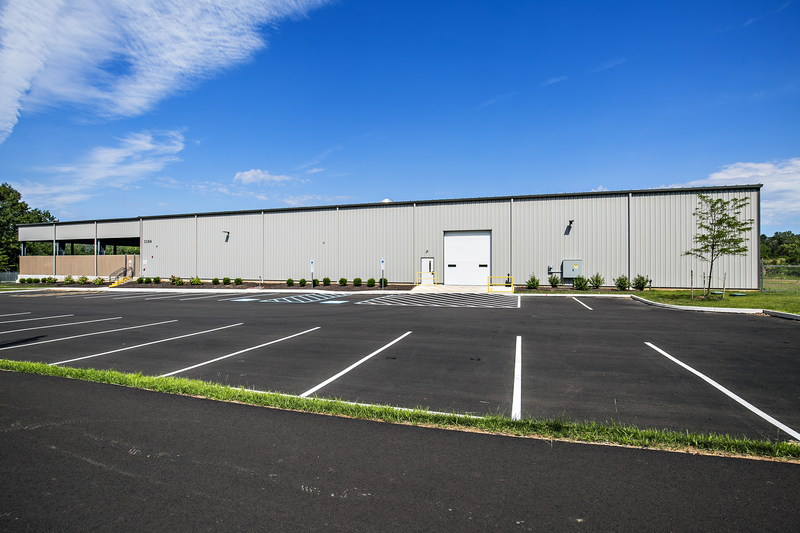 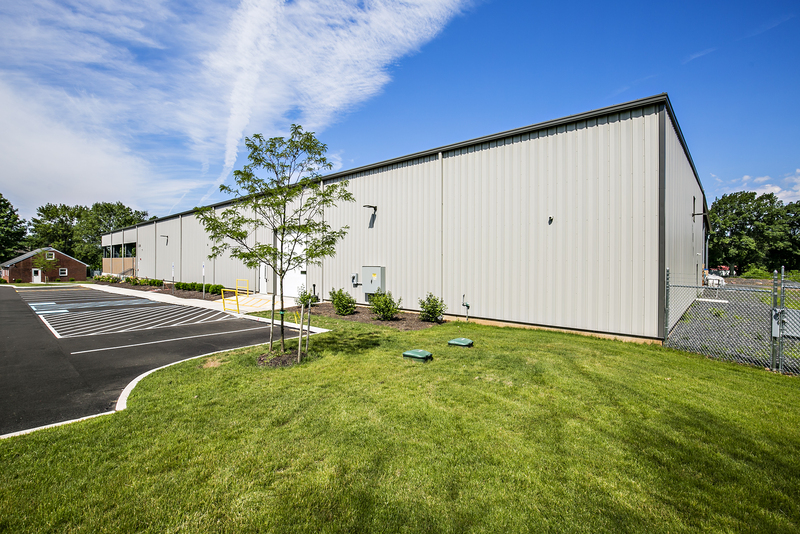 © Schlosser Steel Buildings, Inc. All rights reserved.